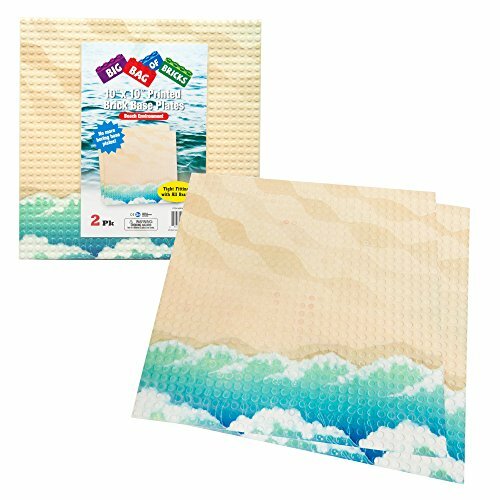 Brick Building Base Plate with Beach Pattern - Large 10"x10" Beach Baseplates (2 Pack): Unique beach pattern to provide an environmental background for your brick building set. 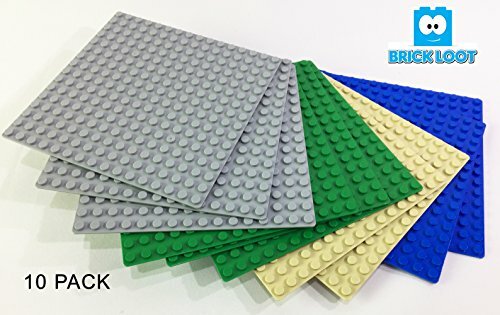 An affordable alternative to all other major brick sets, these baseplates are custom molded for Guaranteed Tight Fit. 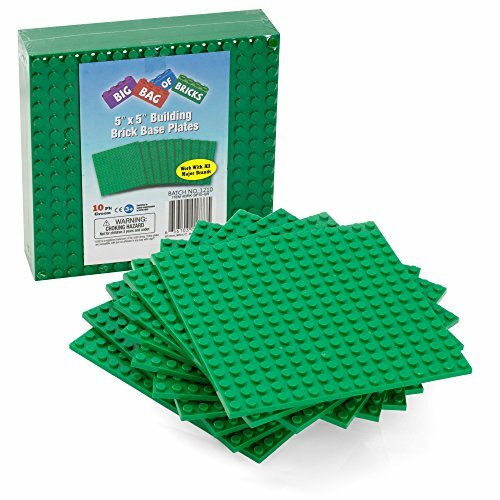 Brick Building Base Plates By SCS - Small 5"x5" Green Baseplates (10 Pack) - Tight Fit with All Major Brick Sets: The best way to expand your building, this unique 10 pack of building base plates gives you the freedom to create as you wish . Each set is custom designed to be Tight Fitting with all major sets. 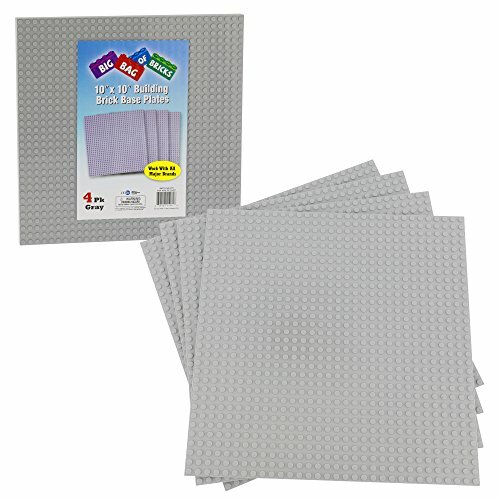 Brick Building Base Plates By SCS - Large 10x10 inch Grey Base plates (4 Pack) - Tight Fit with All Major Brick Sets: The best way to expand your building, this unique 10 pack of building base plates gives you the freedom to create as you wish . Each set is custom designed to be Tight Fitting with all major sets. Underside Connectability so you can connect Bricks from top or bottom. 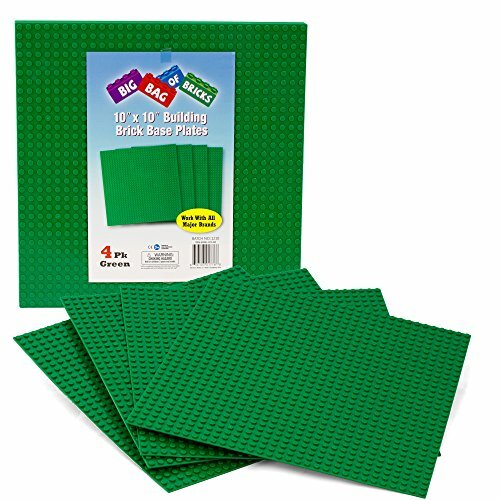 Brick Building Base Plates By SCS - Large 10x10 inch Green Base plates (4 Pack) - Tight Fit with all major brick sets: The best way to expand your building, this unique 10 pack of building base plates gives you the freedom to create as you wish . Each set is custom designed to be Tight Fitting with all major sets. Underside Connectability so you can connect Bricks from top or bottom. 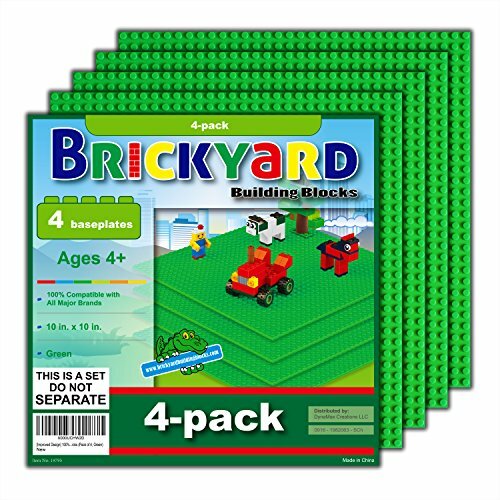 These stackable baseplates are compatible with all market leading interlocking brick-based toys. The mini-figures, action figures, and cars shown in the images are for demonstration purposes only and are not included with this set. Strictly Briks is not affiliated with any of the brands shown in the demonstration images. If you are ever not satisfied for any reason, please contact us directly. Thank you for choosing Strictly Briks. Amazing brick building baseplates that work with all major brick brands including. Hours and hours of fun can be had to help create your worlds and have them come to life! Base plates are perfect for portable building fun. 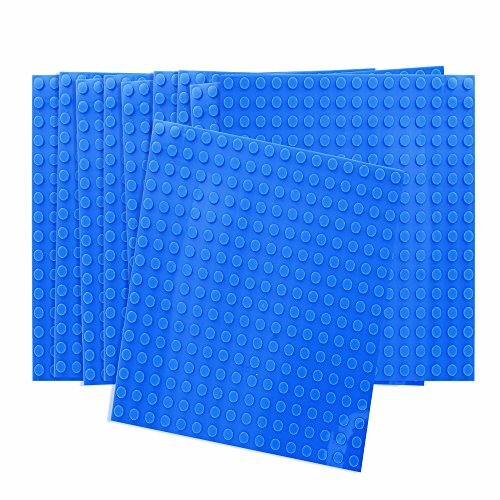 SIZE: 16 studs x 16 studs / 5 inches x 5 inches Material: ABS Plastic Recommended Ages: 3 and up *LEGO® is a trademark of the LEGO Group of Companies which does not sponsor, authorize or endorse this product. 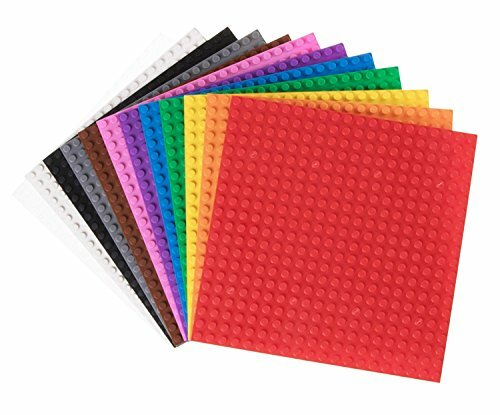 This set includes 12 baseplates, each in one of the following colors: green, blue, clear, brown, gray, yellow, orange, red, black, white, pink, and purple. 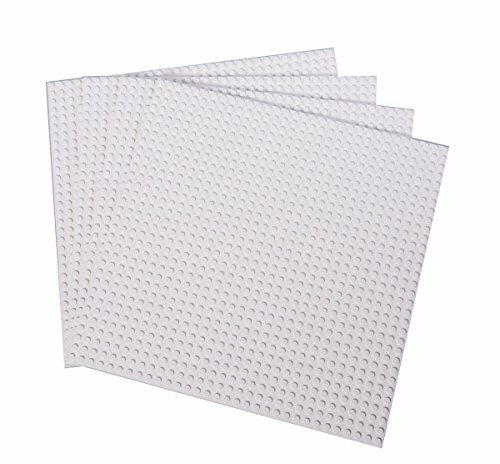 These stackable baseplates are compatible with all market leading interlocking brick-based toys. The mini-figures, action figures, and cars shown in the images are for demonstration purposes only and are not included with this set. Strictly Briks is not affiliated with any of the brands shown in the demonstration images. 100% Satisfaction Guarantee In addition to Amazon's standard Return Policy, as the manufacturer we offer a full refund or replacement guarantee for 1 (one) full year. If you are ever not satisfied for any reason, please contact us directly. Thank you for choosing Strictly Briks. Looking for more Brick Base similar ideas? Try to explore these searches: Headless Micro Pin Nails, Pink School Girl, and Childrens Sheepskin Pug Boot. Look at latest related video about Brick Base. Shopwizion.com is the smartest way for online shopping: compare prices of leading online shops for best deals around the web. Don't miss TOP Brick Base deals, updated daily.